Research shows that in 2015, the millennial generation — people between 18 and 34 years of age — will become the largest generation in the modern workforce, even bigger than the baby boomer generation. This finding highlights how the overall generational makeup of the workforce changes each year as boomers retire and more millennials enter the workforce. The multigenerational workforce is not a static situation, but a moving target. This means that HR’s multigenerational policies can’t afford to stand still; they must evolve constantly to respond to the constantly shifting generational spread of the workforce. Here are five tips to help you stay abreast of generational changes and lead, inspire, and effectively engage your multigenerational workforce. Studies show that mentoring relationships deliver career-boosting benefits for both mentors and mentees. Mentoring programs are especially useful in multigenerational environments, as there are plenty of Generation X-ers and baby boomer who can serve as mentors and plenty of millennial proteges who could benefit from mentoring. Boomers and Generation X-ers could also benefit from reverse mentoring. Thus, mentoring is a great way to knock down the barriers between the generations and allow each generation to see the value and unique offerings of other generations, developing mutual respect for and affinity with one another. 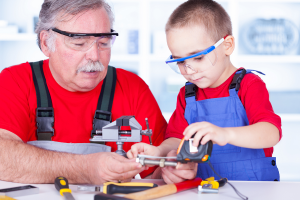 Mentoring programs are essential cross-generational relationship-building tools in multigenerational workforces. Reward systems that are too focused on length of service — rather than actual productivity — may not work so well in multigenerational environments. In these situations, younger workers could be more productive than older workers, but because they don’t have the required tenure, they may receive lesser rewards. A seniority-focused reward strategy could demotivate younger workers with shorter tenures. A truly multigenerational pay system should focus much more on productivity, though it is okay to also reward workers who stay with the company for long stretches of time. In a multigenerational environment, leaders will need to flexibly manage employees across generations. While there are many similarities between employees of different generations, each generation also carries its own specific preferences, desires, and needs. The most effective way to manage employees in a multigenerational environment is to know both the prime motivators of workers from each generation and the motivators f each individual worker. Employee engagement levels are at an all-time low, so every manager should be measuring the engagement levels of their staff members. In multigenerational work environments, managers need to measure engagement levels across generational groups. The goal should be to see if you can spot any negative trends which reveal that one generational group is more disengaged than the others. This could indicate that your employer practices are disadvantageous to one generational group in particular, which should then motivate your HR team to address the issue and improve the experience for the disengaged generation. Perform a statistical analysis of your organization to understand the generational makeup of your existing workforce. Consider whether it reflects the general makeup of your local job market and the industry overall. If your organization’s generational composition is out of step with the local candidate market — or even with the local customer base — then there is a good chance that your organization’s hiring and management practices may be unfairly disadvantageous to — or even discriminatory against — certain generations. This gap analysis should form the basis of your organizational diversity strategy, which will help you increase the presence of certain generational groups within your organization.